Club Penguin Cheats by Mimo777 Club Penguin Cheats by Mimo777: Club Penguin Field Op Number 57 Cheats! Mimo,why i don't see any new field op on my account?? Mimo, when ever I log in, all the penguins are black. 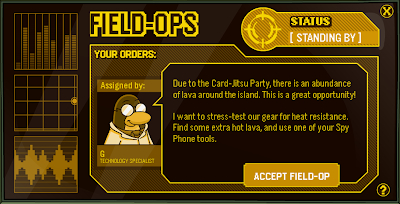 Also I can't play card jitsu. Plus, I came to this room where everybody was walking down from the top of the screen and the whole room was WHITE. Has this happend to anybody else? 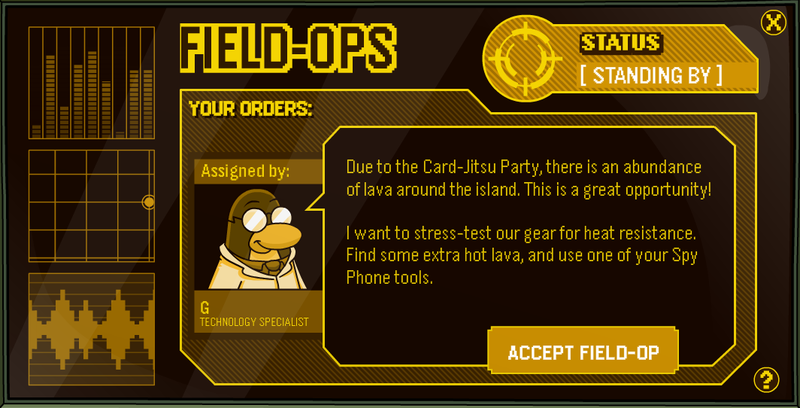 Ha ha very funny Mimo is this a joke I dont have a new feild-op and I havent done this one. Help!!! Hey Mimo777,its says its 3000 degrees kelvin,but its 4940 degrees fahrenheit.Why did Gary use kelvin instead of using fahrenheit in temperature? Me eiether, Icicle, this is happen to me to! 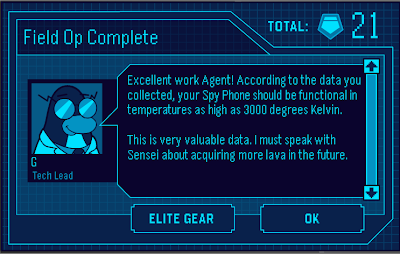 where does it say engage?? ?